Step counter? Check. Calories burned? Check. Distance travelled? Check. Incoming call notifications? Check. These days, it seems it’s no longer enough for a fitness tracker to do the usual activity tracking they used to be good for; they’re increasingly being designed to offer basic smartwatch capabilities as well. The Fusion Lite has an inconspicuous and basic design. So if you are looking to make a statement with a flashy band, this might not be the wearable for you. That said, if you want a gadget that will pair with any and every piece of clothing in your wardrobe, you could consider the Fusion Lite. The device comes with a strap that requires you to snap the clasp closed via a metal stud — something that can be quite hard to manoeuvre one-handed, and which I never really fancied. However, the locking mechanism is fairly sturdy and unlike the old Fitbit Flex, doesn’t fall off easily. The device itself is made of plastic, which keeps its weight down. Unfortunately, this makes it feel rather cheap, unlike higher-end devices that have a more solid touch. What’s great about the design though, is the Fusion Lite’s touch screen. 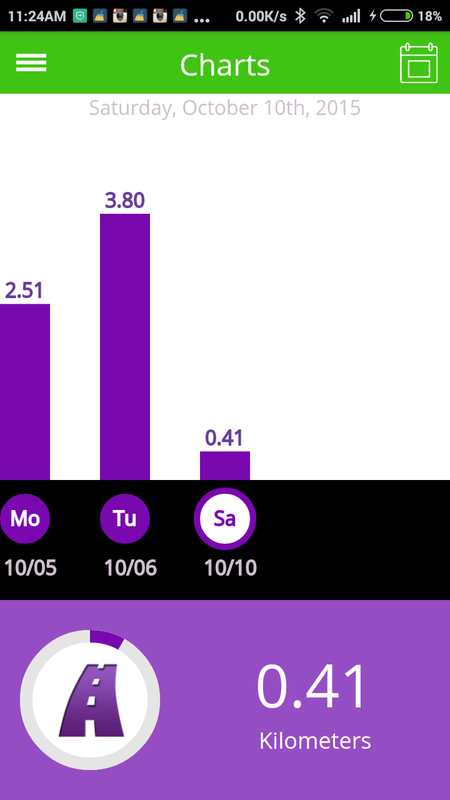 Being able to view your daily metrics with a swipe — as opposed to having to press a button — is pretty cool and futuristic. The screen resolution may be fairly pixelated, but I found it decent enough; it can be viewed clearly in both dark and bright conditions. This is without a doubt a staple of all fitness trackers. The chip and algorithm used by Striiv to track steps is awesome, and I found it to be incredibly accurate. Flailing your hands around doesn’t increase step count, unlike some other trackers. 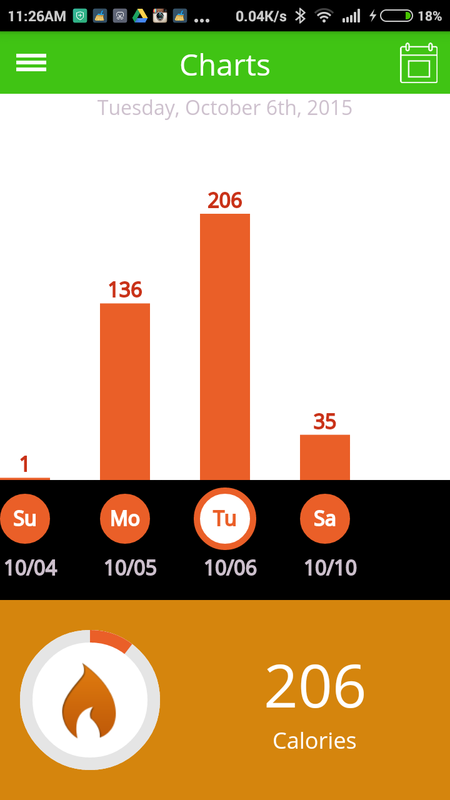 It is also the only tracker I’ve gotten to date that doesn’t log me riding on my electrical scooter as sprinting, adding in a chunk of uncredited steps into my daily count. Estimated distance is also another metric the Fusion Lite calculates based on your step count. The Striiv software takes into account your height to give you an approximate stride length, which turned out to be a good estimation for me. This is one area in which the Fusion Lite differs from other trackers: it doesn’t take into account your Basal Metabolic Rate (BMR); calorie readings are calculated based solely on the steps you have taken. This is not necessarily a bad thing as it gives you a good idea of how many calories you burn actively, and is a metric you can strive to increase on a regular basis. Sleep tracking with the Fusion Lite is extremely basic. It was kind of disappointing for two reasons. Firstly, it was not automatic. I had to manually tap on the sleep button to trigger sleep mode, and when you wake up, you have to manually stop sleep mode as well. Failing to do so means you won’t be able to view your sleep data for the night, and if you forget to end sleep mode, you will miss out on step tracking during the day. Secondly, the Fusion Lite does not track sleep quality. Instead, it only tracks how many times you wake during your sleep. It might be good enough for most, but it certainly pales in comparison with other devices. 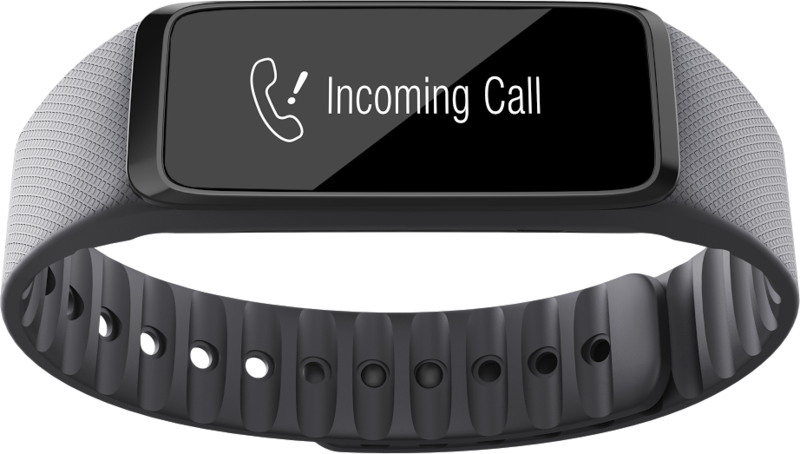 The Fusion Lite is probably one of the few budget fitness trackers that allow you to integrate call notifications, though it does not support message notifications unlike its more advanced counterpart, the Striiv Fusion. 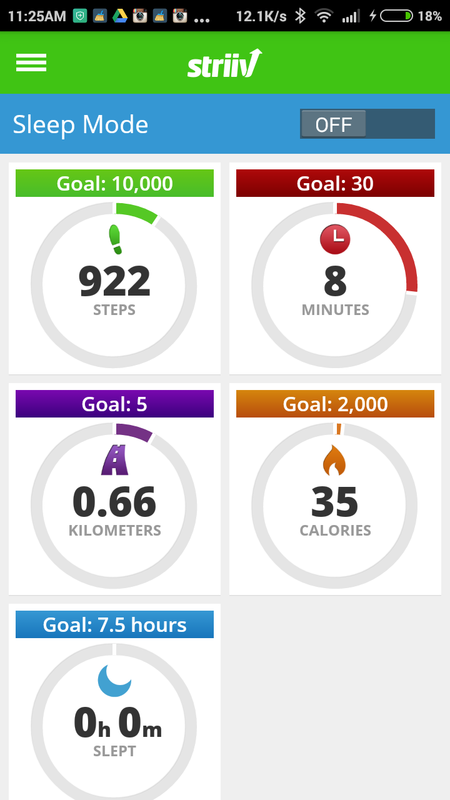 The Striiv Activity Tracker app is fairly basic, but is a clean app I can appreciate. No fluff, just good old data. It also comes with one particularly interesting feature, the Striiv MyLand game. In this game, you use coins and energy to build structures and plants on a virtual island. Coins can be farmed whereas energy is earned from your daily activities — the number of steps you take. So the aim of the game is to get you moving, which is a surprisingly good motivator. At only $99, the Striiv Fusion Lite is a decent entry-level fitness tracker with the added bonus of letting you receive call notifications. Is it a superb device? Probably not, but it fulfils the basic requirements that most average Joes seek — to keep track of your daily activity levels and encourage you to steer away from a sedentary lifestyle. 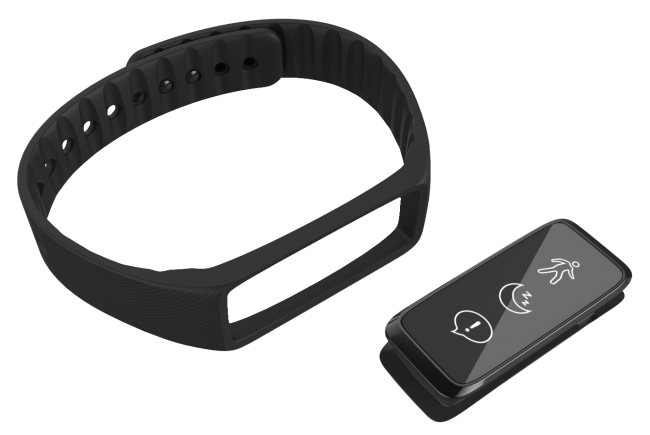 However, if you are serious about taking your fitness to the next level, you might want to consider higher-end fitness trackers which may cost more, but will offer you a more comprehensive experience. 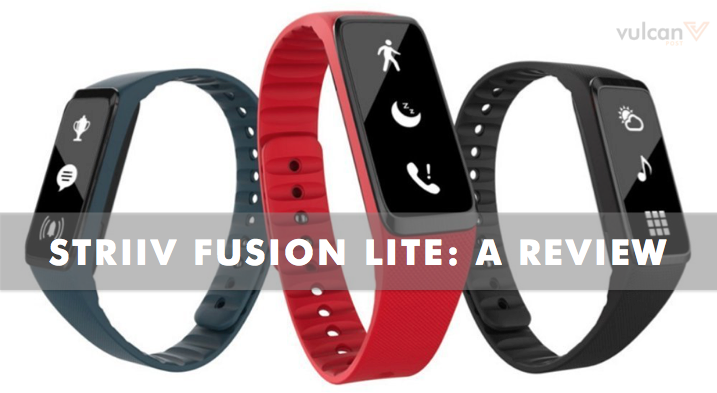 The Striiv Fusion Lite retails for S$99; for more information, go here.